How To Make Google Crawl Your Blog Every Other Minute? certain tricks to get traffic but the truth is that the best way to get traffic is through natural way. Google ranks different web pages and blogs according to the content they are providing. There are some pages that Google gives the title of "Authentic". This means that Google trusts them and so these blogs will receive more viewers than other blogs. These are the blogs that Google crawls quickly. This status can be achieved by the relevance and greater number of backlinks. Tips to Make Google Crawl Your Blog Every Other Minute!! First of all you should try to update your blog as soon as possible but according to a schedule. But it doesn't mean that you copy content from somewhere and paste it in your blog. You can face severe penalty for copying content. The content you provide should be beneficial for the readers and you can also add some targeted keywords in it but its ratio should not me more than 2%. Images are also important parts of your blog w.r.t SEO. You should not just name them rather your should target a keyword in their name. try to describe what the images are about. This plugin will help you. 6 Reasons: Why Did Your Website Traffic Dropped? 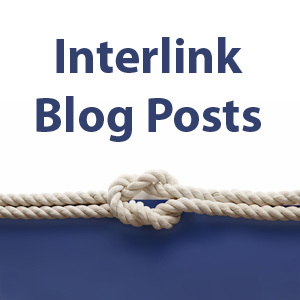 Interlink your posts so that the reader can navigate through your blog easily. This will make the reader stick to your blog for several minutes. The more the posts on your blog the more the time readers spend at your blog. But make sure not to lose the quality of your posts just for increasing their number. You may not know but it is very important to check these options as they make Google crawl your blog. Google will be able to find your new post with the help of these options. MaxBlog Ping Optimizer plugin is a good one and you should use it. You can setup the plugin with the help of Increase Blog Traffic. Try getting backlinks from other sites that are trusted by Google. One way to get these backlinks is to write articles for other sites and then add backlinks. Such sites have good image in the eyes of Google so Google will also got to your articles after every while. Having long and complicated URLs is not a good idea because Google can't find them quickly. You should try to shorten your URLs to make Google able to find them and short URLs are also easy to remember. You can use Clean Slugs for this purpose. 5 Tricks to Improve Your Ranking! Don't use any illegal method to get traffic. Such methods will work and will bring a lot of traffic at your blog but once Google found you involved in such kind of activity it might ban you forever. So it is better not to use such methods. In sort you can say that you just have to make your blog search engine friendly. Follow all the rules and regulations of Google and you will get traffic. Be sure your content is unique and informative. BloggingeHow | Making Blogging Simpler: How To Make Google Crawl Your Blog Every Other Minute?